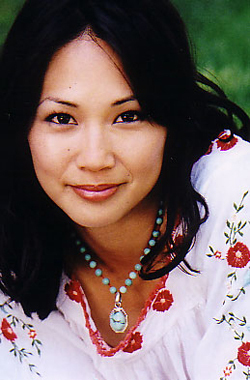 Diane Mizota is a Japanese American dancer, actress, and host. She began her career as a dancer working on dozens of commercials and music videos. Her talents would not go unnoticed as she landed roles as a dancer in the film, That Thing You Do! in 1996 and the films Out to Sea and Boogie Nights in 1997. In 2000, Mizota played Katy in the MTV comedy/drama Undressed, guest starred on the soap opera Passions, and danced in Boys and Girls, Beautiful, and the ill-fated Monkeybone in 2001. Mizota appeared in the film Austin Powers in Goldmember (2002) as Fook Mi, alongside Carrie Ann Inaba who played her twin sister Fook Yu. Diane in "Austin Powers in Goldmember"
In 2003 Mizota co-hosted the annual video game awards G-Phoria along with comedian Jamie Kennedy and Victor Lucas, host of the video game show, The Electric Playground. Mizota was a host for Discovery Kids' Trading Spaces: Boys vs. Girls on NBC and a video game countdown show, Filter on G4. On 2005, Mizota announced that G4 had cancelled the series and the last episode of Filter aired. G4 has since announced that Filter will be returning in June 2006. Mizota's time on the G4 Network has given her a wide fanbase. When Filter reaired, Diane was not the host, instead, Beth Ostrosky was the new host. Filter has since been cancelled again. Also in 2005, Mizota took part in the reality show, Three Wishes starring Amy Grant and had a role in Rob Marshall's feature film, Memoirs of a Geisha. Diane Mizota is the current spokeswoman for Time Warner Cable, under the name "Karen". In 2006, Mizota appeared in a Best Buy holidays commercial as a Best Buy employee, and in Toyota commercials as a customer looking at cars. Mizota is a known season ticket holder of the San Diego Chargers.